Just when you thought every iteration of a shark movie had already been made, Hollywood surprises us with another “great” idea. 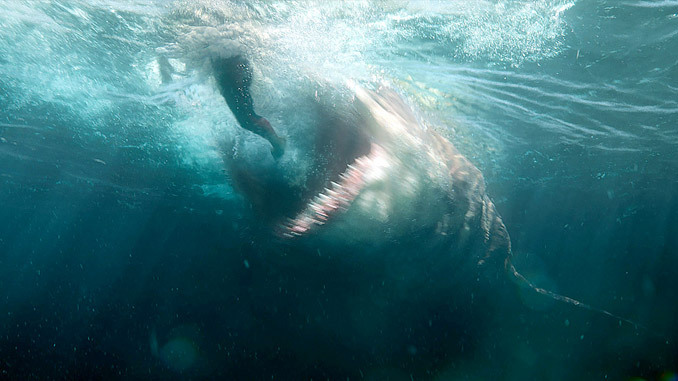 This time, it’s director Jon Turteltaub’s The Meg trying to stake out its own territory in the overcrowded waters of the shark sub-genre. Thankfully, it rises well above the other shark-centric movies that SyFy seems to push out every other week. Aside from the garbage made-for-TV movies, like Sharkenstein and Mega Super Sharkagator vs Giant Crocopotamus, we get a theatrical man vs. sea beast almost every summer. Some have been exciting, others have left us seasick. The Meg falls closer to the former. The story of the prehistoric megalodon fighting Jason Statham and crew may not go down in history as a memorable movie. You may have a hard time remembering anything about it a week after you see it. But that doesn’t mean that it wasn’t a fun two hours spent in the theater. It has a lot of what a good summer movie should have: bright adventure, fun characters, and set pieces that draw you in. 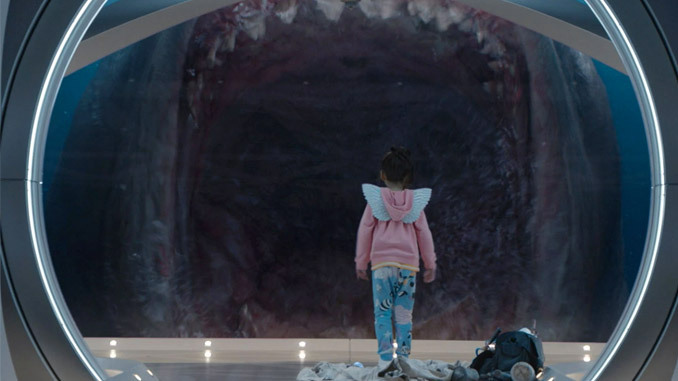 A movie like The Meg doesn’t have to be a perfect movie, and it isn’t, but it does have to be fun. Jason Statham plays Jonas, the deep sea diver who specializes in rescue missions. We follow him and his research crew as they explore a hidden trench, in which they discover (and subsequently release) the 70-foot-long megalodon. From there, it’s a race to find a way to stop the shark as it makes its way to the crowded beaches. There’s also a love story between Jonas and oceanographer Suyin (Li Bingbing) floating in there—an attempt to add humanity to a movie about people being eaten by a giant shark—and thankfully, it mostly plays well, largely due to the actors’ chemistry. 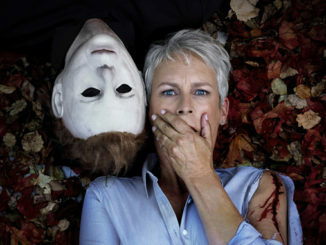 We’re not talking Hepburn and Tracy, or even Lawrence and Cooper, levels of chemistry, but it’s enough to sell this unnecessary plot excursion. The other piece to their puzzle, and what turns out to be the emotional heart of the movie, is Suyin’s little daughter, Meiying (Shuya Sophia Cai). She is adorable in her concern for her family and easily steals some of the early scenes from Statham. It’s these early scenes that surprised me the most. I was expecting a headache of CGI and shark attacks that built and built until the pressure is relieved with a giant explosion of an ending. Instead, we started with quiet, moody scenes about exploring the undiscovered trench. 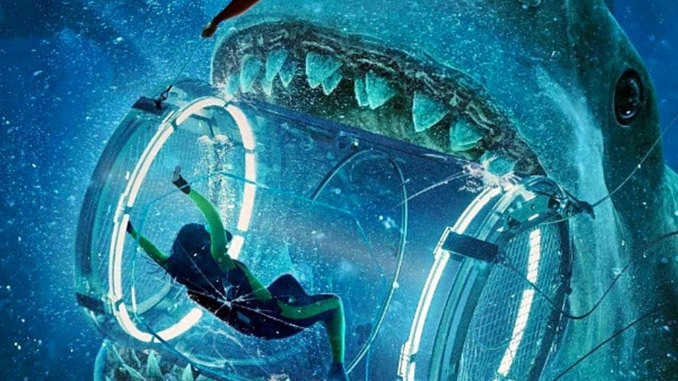 The film successfully builds suspense here, as the team explores the deep sea, and we get our first encounters with the meg. These early interactions with the shark never actually show it, and it’s exciting to see the characters slowly—and I do mean slowly—discover that it’s the megalodon wreaking havoc, slamming into the submersible, or showing up as a dot on their radar. But this does start to become a little bit of a chore rather quickly. The audience knows what’s happening here, it’s not a secret. We came to see a movie called The Meg, we know it’s megalodon. My biggest surprise and greatest relief of the movie came when the shark finally makes its on-screen debut: It actually looks good! With many of the modern big-budget shark movies—even the interesting ones—the effects of the shark are always a let down. The Meg finally felt like I wasn’t watching CGI…or at least wasn’t distracted by it. 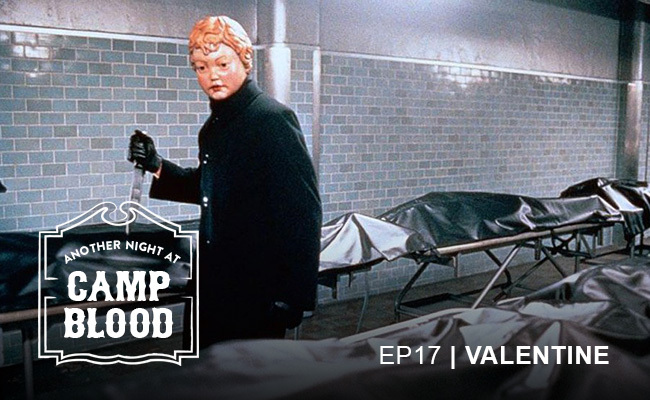 The pacing of the film’s tensest moments make them believable, and they land because of it. When Jonas swims out to shoot a tracking device onto the fin of the monster, for example, and is then chased by the shark while the crew on the boat scrambles to pull him back, I was pulled into the excitement. Sure, I knew deep down that Jonas would be safe that early into the movie, but for a second, I bought it. The excellent shark effects and the exciting action scenes make the movie fun, but when the filmmakers try to get deeper, things get rocky. The biggest theme of The Meg is that old chestnut of man vs. nature. Once again, a wealthy businessman (Rainn Wilson) with corrupted views of science pushes scientists to go too far in their exploration. At several points, the head of the research station, Dr. Zhang (Winston Chao), proclaims that this is what happens: humans discover, and then they destroy. The only way the businessman learns his lesson is by being eaten. It’s a little heavy-handed and feels like something we’ve all seen before. Well, perhaps not the specifics, like being eaten after clawing to safety atop a ripped-apart whale carcass, but you get my point. We’ve been taught not to mess with nature time and time again, even earlier this summer with Jurassic World: Fallen Kingdom (and every Jurassic Park movie before that). 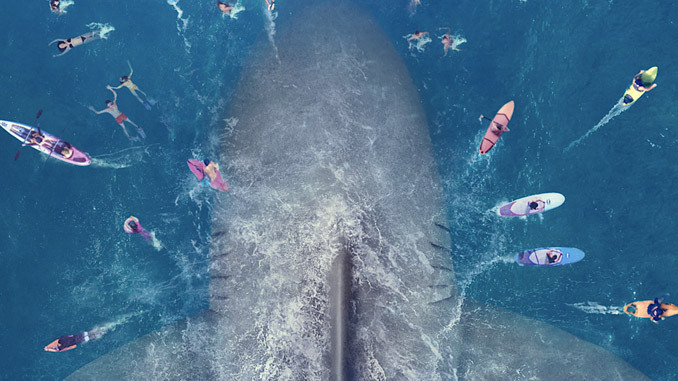 Between the tired theme and the love story, The Meg gets a little lost at sea. It definitely could’ve used a few more shark-related attacks. Speaking of which, when the shark is chomping and sucking people down, it becomes obvious that we’re watching a PG-13 movie. There isn’t a lot of the over-the-top gore that one may have expected to see in a 2018 megalodon movie. In fact, Jason Statham and director Jon Turteltaub have spoken out about their disappointment over the film’s rating. A lot of fans are upset by this, and I can understand that, but I don’t think it would have made too much of a difference. The movie may not have been as slow as it became, but the hard R rating would really only be there to appease the Sharknado schlock fans. Some of the added blood and guts would have made for a better movie—and why not put gore into a PG-13 shark movie, it’s not like a child can go around eating people like a megalodon—but the point is that the lack of gore didn’t really stop me from enjoying it overall. I had fun with The Meg. It was just what I was looking for in a summer movie about a shark, managing to be serious but not too serious. Unfortunately, though, everything the film did get right isn’t quite enough to make it memorable. There’s nothing to truly separate it from other movies like it, besides the giant shark itself. And while the monster’s defeat was satisfying, it doesn’t exactly inspire the audience to leap to their feet and cheer. All in all, The Meg has its flaws, but it is worth a few hours on a hot summer’s day.